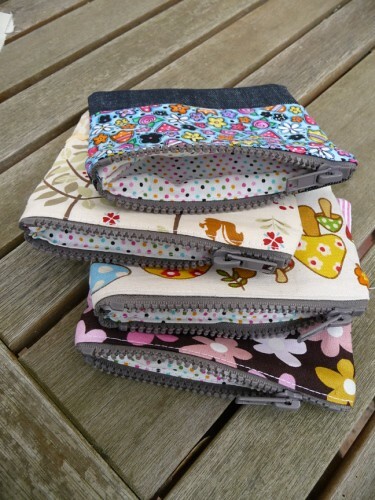 The most useful thing in the **universe** has to be zippered cases! I whipped one up for my daughter so that she could put her polly pocket pieces in one spot. I then used thicker denim, heavier weight fabrics (interface if needed) and chunky zips to make the ones pictured. 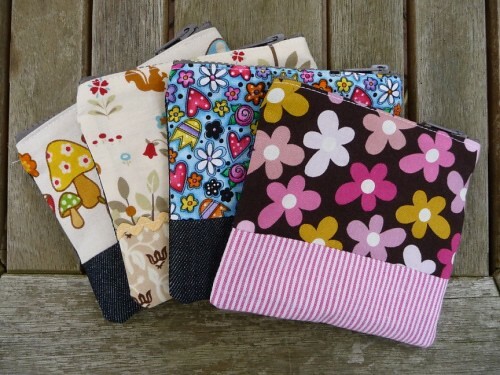 This second lot were lined as well - the spotty lining material went well with all the fabric combinations - whoopie! I am really enjoying doing some embroidery at the moment. Its really portable as well - something you pick up and put down which is what I need at the moment. I agree. 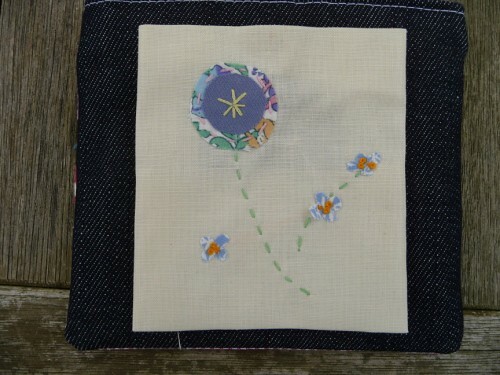 Embroidery is the ultimate in pick up and put down while running after little people!